Invoices are used in different fields. It does not only revolve around the world of corporations and business transactions. 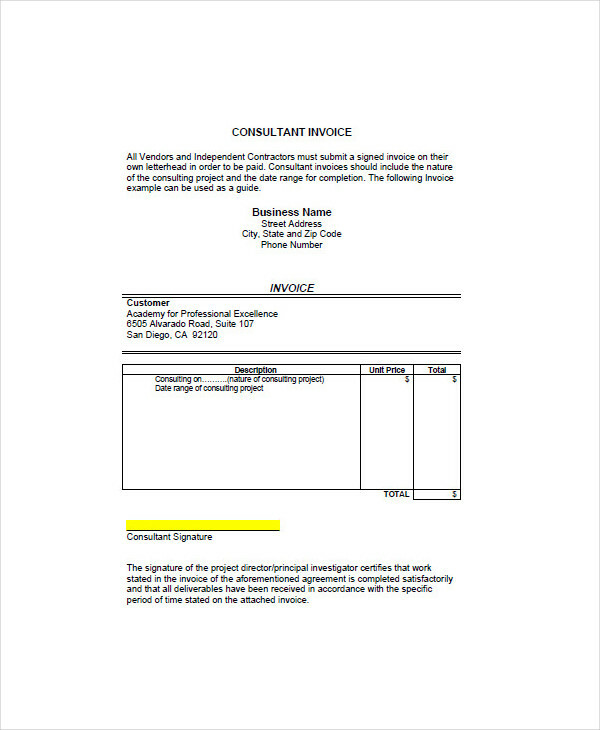 In fact, there are a lot of examples of invoices outside the things that we are commonly exposed. There is plumbing invoice, daycare invoice, self-employed invoice, and a whole lot more. Invoices are actually almost in all transactions that we encounter that requires the exchange of money and goods or services. For its very definition, an invoice is an itemized list of goods and services that is produced during a purchase or acquisition. 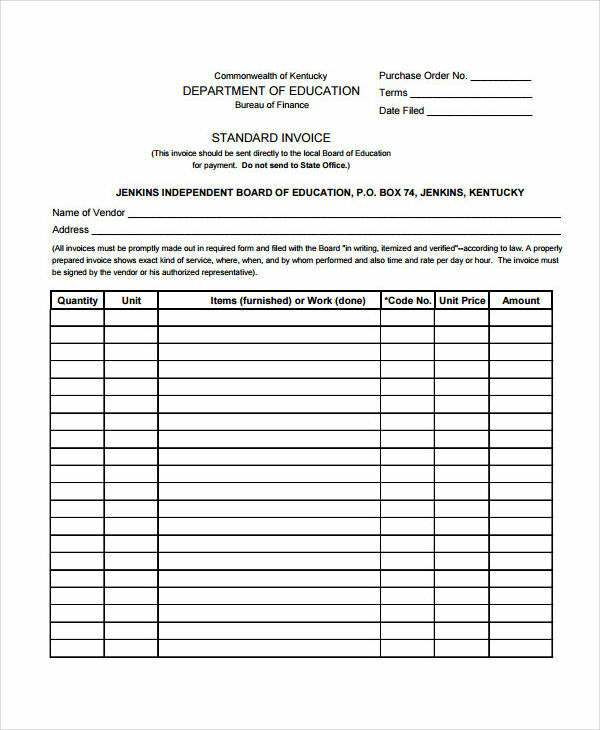 Even in things related to education require free invoices. 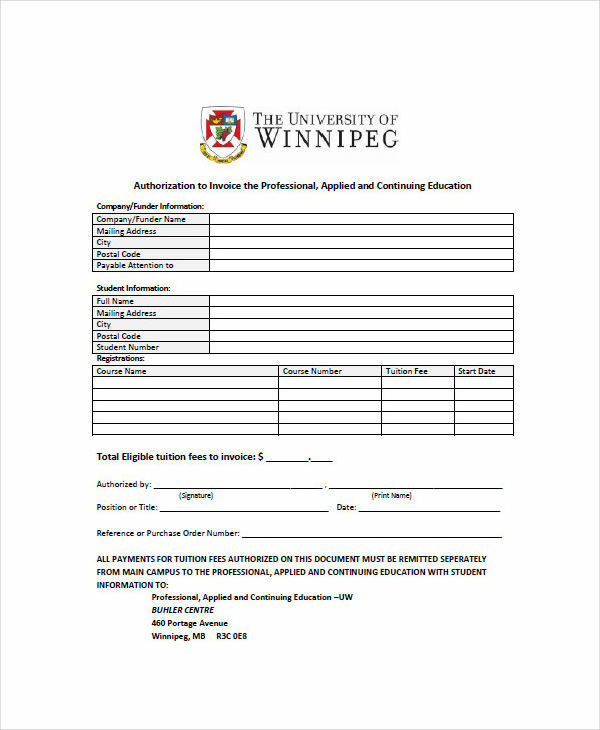 What Is an Education Invoice? 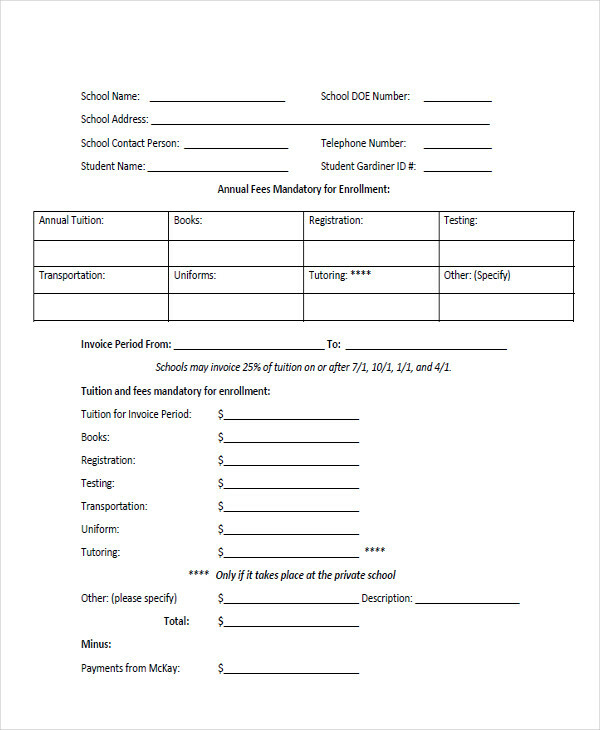 An education invoice is a written document that contains an itemized list of goods or services that is related to education like school billing invoice, supplies, college tuition, and tutorials. 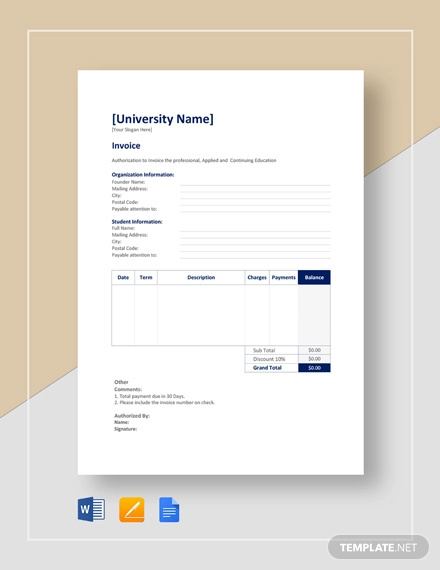 This type of invoice is commonly used in schools and stores that sell educational items like books, stationery, and magazines. 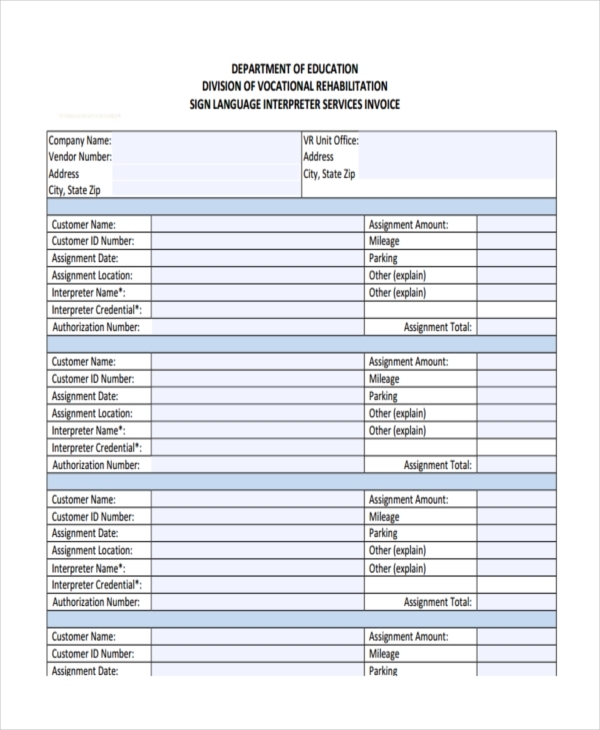 The range of the use of this type of invoice is somewhat limited to the educational field. Just as the name says it, it only covers things that are related to education. However, the outline of an education invoice does not go away from other basic invoices like billing invoice and sales invoice. The way an education invoice is created is the same as how a simple invoice is written. 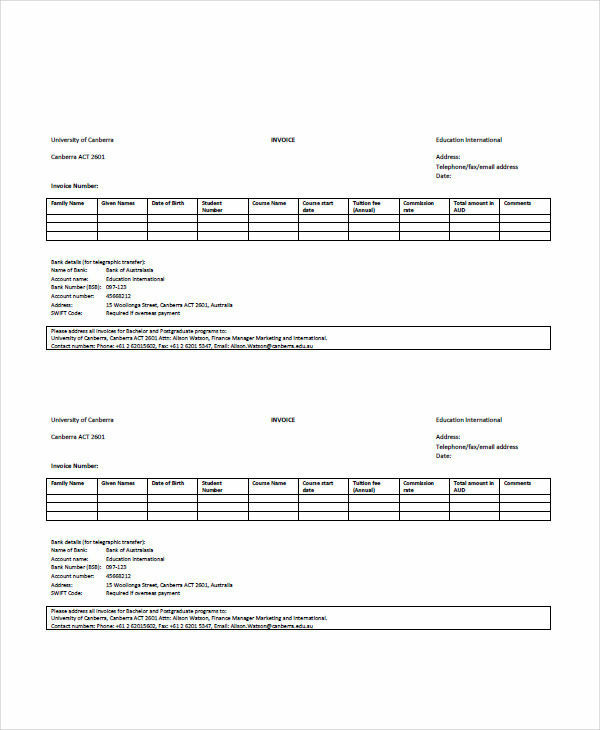 The structure and elements are also similar to that of a basic invoice. Write the seller’s details. It could be anything around the school, the store, or any entity who provides the service. Include the name, contact details, and address. Include the buyer’s information. This refers to the person or individual purchasing or availing the goods or services. List the items. Whether you are offering a service or selling products, make sure to itemize them. Also, include the description and price of the product. Invoices provide us an important information about the products or services that we are acquiring. It allows us to careful check what we purchased and make sure that we are paying the exact amount for the correct product. The same effect works for an education invoice. When we are paying our school fees, the invoice example would tell us what are the things that we paying for whether it is for the miscellaneous fees or charges for the subjects that we took. It provides a clear presentation of the things that we need to pay and if they are indeed what we asked for. 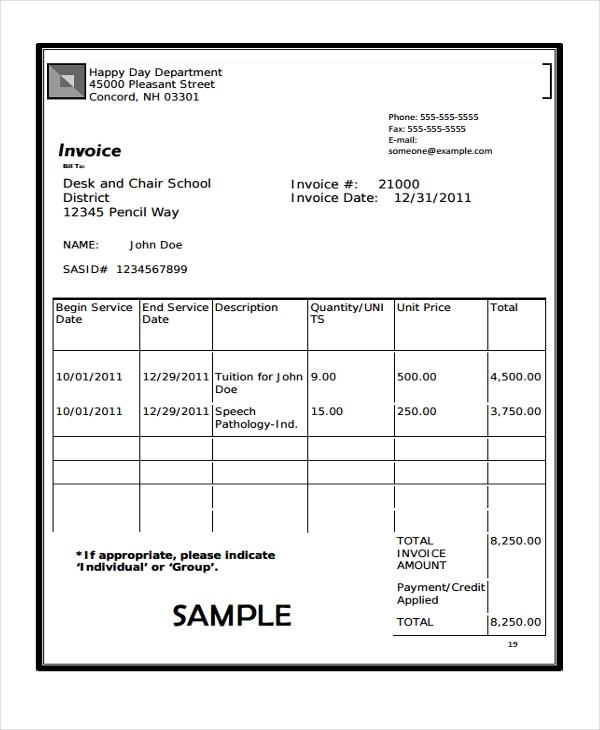 An education invoice in pdf is important for both the seller and the buyer. For the part of the seller like the school or an educational store, keeping the invoices help them manage their inventories and an aid for better bookkeeping. Let us say for a month, they can collect all the invoices so they can check if their profit is equivalent to the number of goods that they have dispensed. For the buyers’ part, it gives them the freedom to be able to understand and evaluate the items before handing out the payment. Once cash is handed over, a payment invoice is provided which then becomes the proof of purchase.